Bole International Airport on Tuesday, August 16, 2016.
adding a new level of comfort to its valued customers. twin engine noise level, advanced air conditioning technology and full LED mood lighting , which enhance comfort and reduce jet-lag after a long flight. Ethiopian has 12 remaining orders of the A350, which are expected to be delivered within this fiscal year. 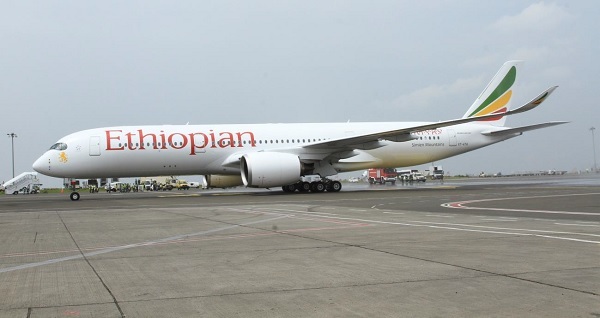 The latest addition of A350, increases Ethiopian fleet to 80.